I can’t begin to imagine how my daily work-life would look like if I didn’t have a real-time messaging aide. I’m a part of a team of 15 that is spread across 3 cities, and I work in conjunction with members from other departments. Co-ordination is a big part of my job. 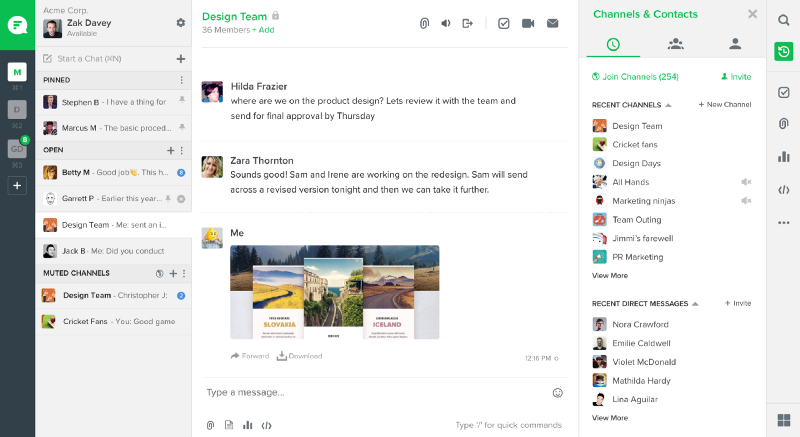 Well, if I can’t wrap my head around the absence of a communication tool, I wonder how professionals working within large teams manage tasks on a daily basis without one. Managing teams, spread across functions (and geographies) can turn out to be quite an endeavor for anyone. From meetings and documentation to project management, a team manager’s plate is always full with commitments and deadlines. In our case, Flock comes to the rescue as our side-kick at work. With responsibility of coordinating with large teams, managers always need to stay on top of their schedule. In Flock, you can create multiple channels based on projects or location, or just specific tasks at hand. Discussions remain relevant and one can always check on the progress real-time. Conduct polls, manage tasks with shared to-dos, set reminders and collaborate on documents. 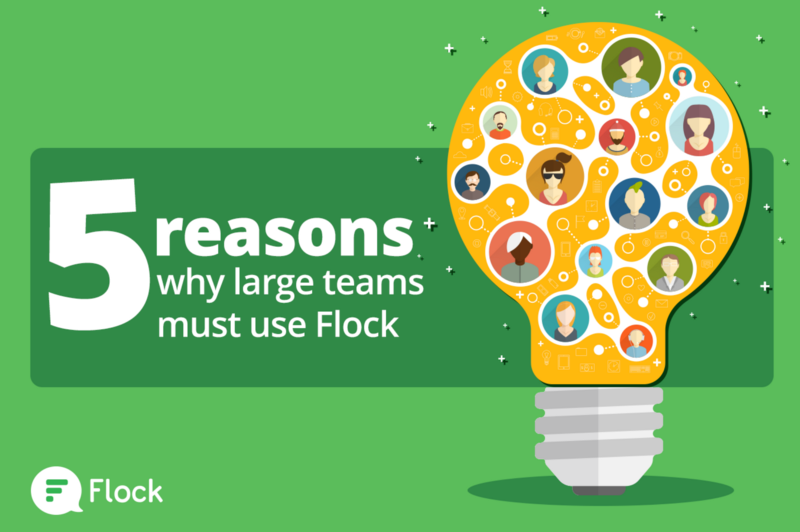 Do all of this and more with Flock Apps. Got to catch up on updates across geographies? 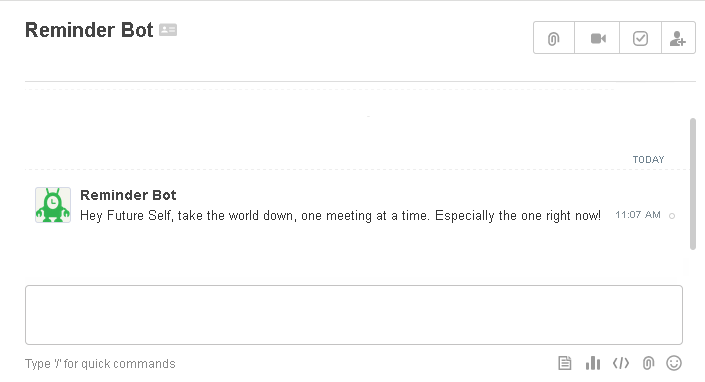 Don’t send lengthy text messages or fly across countries, just for that one meeting. 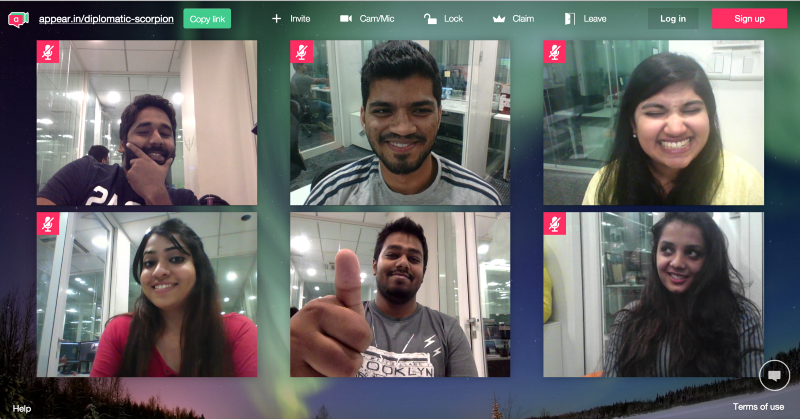 Use Flock and invest in uninterrupted video calls that can connect up to 8 members at a time. Yes, we just saved you a lot of time and effort, didn’t we? 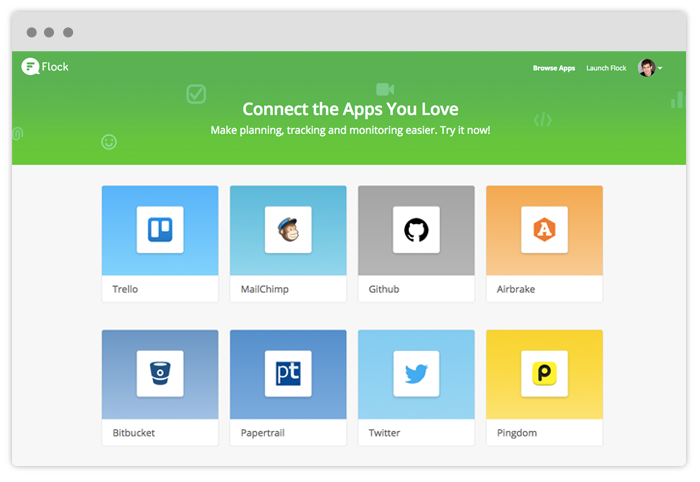 With the Flock App Store, you can plug in your frequently used apps like Trello, Twitter and Mailchimp into Flock. Setting up these integrations makes sure you get all notifications directly in Flock, thus saving you the trouble of switching between many external apps. With Flock’s cross-platform availability and messages synced across devices, you can switch devices and pick up conversations, right where you left them. No more worrying about stepping out of office and missing all those important discussions. If you’re a part of a large team and think you need superpowers to do it all, think again! Flock has got all that you need to make the most of your productive work hours. Make your work life simpler, and smarter!